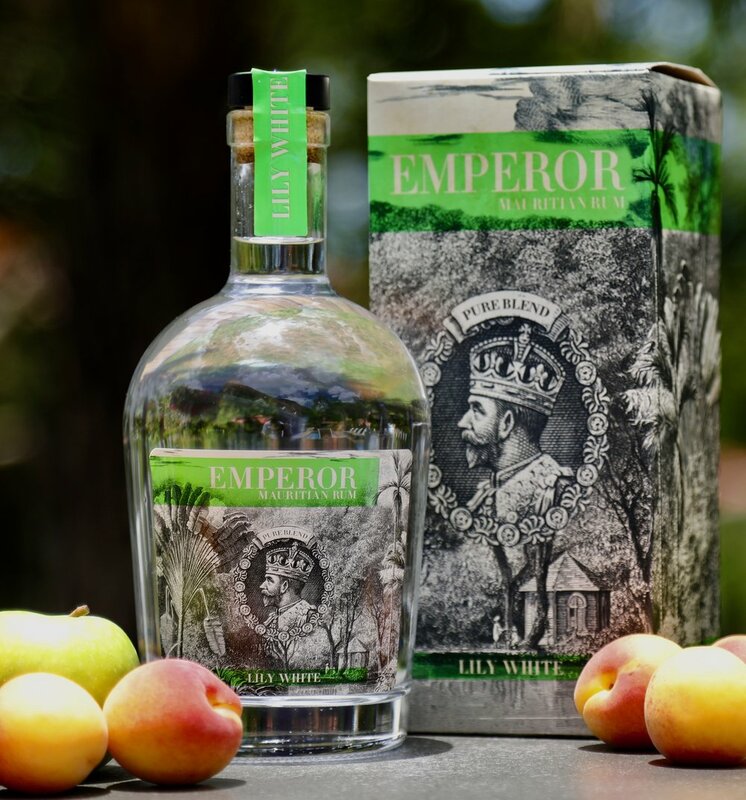 Emperor Rum is made of aged traditional rums stemming from the distillation of pure and fresh sugarcane juice and molasses. The result is an astounding richness of colours and a complex assembly of flavours: fresh-squeezed sugarcane, exotic fruits and flowers finished by pepper and spices in the typical Mauritian tradition. This edition is an invitation to sophistication and fine art of living. A subtle note of vanilla and a warm consistency create a perfect balance in the mouth. Its powerful character is at once lingering and delicate. The woody and caramelized aromas blend together with hints of dried fruits, vanilla, grilled almonds and spices. The rum ends with a subtle smoky finish. The Emperor Rum offers a rich palette of colours and tastes obtained by the blending of traditional rums, distilled from pure sugarcane juice and molasses. Freshly pressed sugarcane, exotic fruits and flowers with pepper and spices finish give life to a complex combination of flavours in the pure Mauritian tradition. The Sherry Finish Rum is the quintessence of the best Mauritian traditional and agricultural rums. Coming from the most ancient storehouses of the Island, it offers a stylish and refined experience with subtle notes of vanilla, caramelised fruits and sherry for a perfect balance in mouth. EMPEROR Rum LILY WHITE collection is a blend of both aged agricultural and traditional rums, distilled in the pot-stills and columns. Aged up to 12 years, LILY WHITE RUM, is elegant, rich and surprisingly intense for a white rum. A complex process of carbon filtration carried out before bottling gives it its crystalline appearance and its final softness. 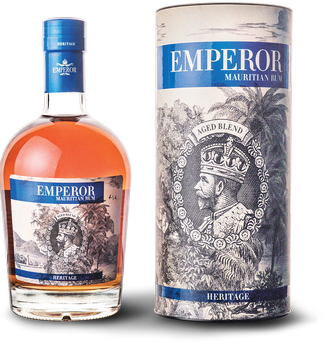 It is the specific combination from the exceptional terroir, the unique microclimate and know-how of Mauritius which allows us to create the brand Emperor Rum. The result is simply magnificent on the nose and in the mouth, with the same elegance of great agricultural or traditional white rum. EMPEROR Rum LILY WHITE is an invitation to refinement, a call to discover one of the few “BLENDED WHITE RUM” in the world. 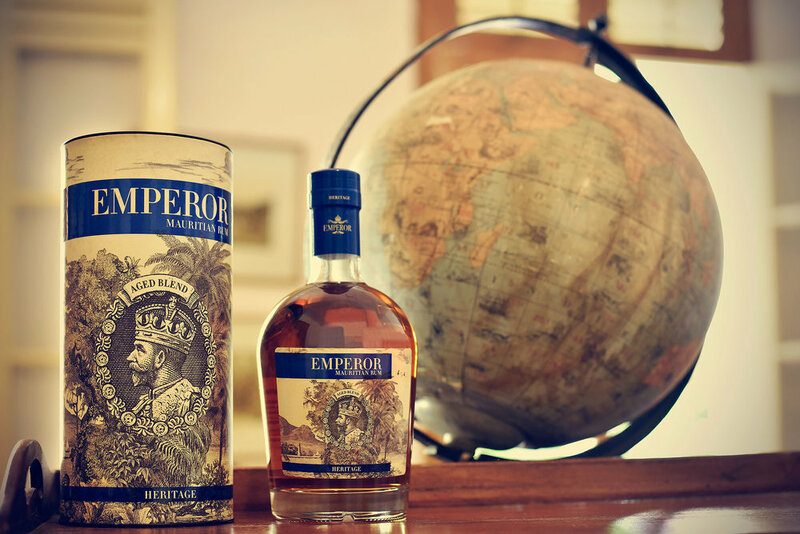 Our Emperor “Royal Spiced Rum” is avariant of the Emperor Heritage rum, enhanced with spices, with unique gentle flavours of carefully selected cardamom, cinnamon, and star anise. Carefully selected spices were macerated in both molasses and pure cane spirit, in our cellars based in St Michel de Fronsac in Bordeaux - France, before being blended to our “Emperor Heritage” rum edition. We have selected our Cardamom in the heart of the tropical forests of south-east India, from organic agricultures, being the best but also the most expensive cardamon which is available today on the World scene. Cinnamon comes directly from Sri Lanka from the “Ceylon” region. It is harvested manually in the spring on rainy days. Finally our selection of Star Anise, the fruit of the “badanier” tree, comes from the vicinity of Langson in northern Vietnam. This badian is by far the most famous in the world. It is harvested from November to December and also comes from organic farming.